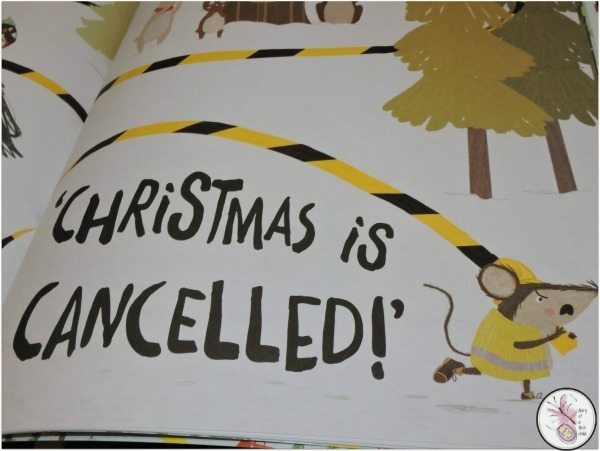 The Mouse That Cancelled Christmas is a funny Christmas story for kids – the kind that sees them giggle as you’re reading, making it fun for adults too. 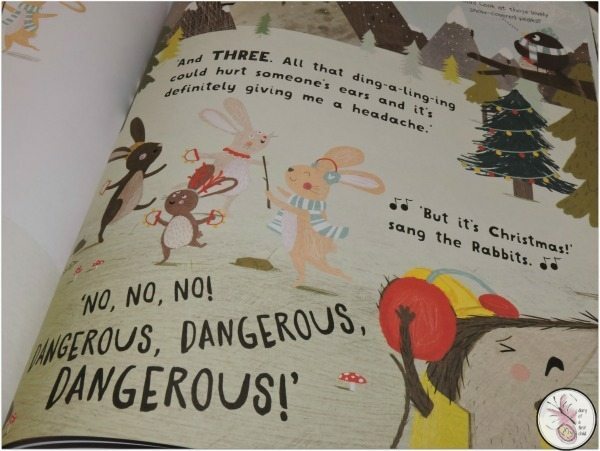 The story goes that Mouse had a bit of a Christmas mishap in his early years – a bauble bops him on the head – which made him really anxious around Christmas time. Now grown, Mouse goes around bossing everyone about and warning them against pretty much everything – the tree’s needles are too sharp, the lights are too bright, the star is too pointy… even the singing of the carolers could ‘hurt someone’s ears’! In short, Mouse is pretty grumpy about everything Christmas related, and thinks everything is just dangerous, dangerous, dangerous. 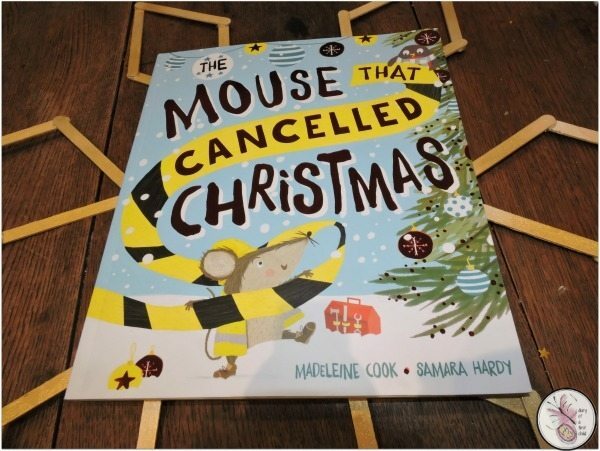 Furious that no one seems able to celebrate Christmas safely, mouse cancels Christmas! His friends wonder whether that means they can’t give him their presents anymore and this catches his attention. He unwraps his present to find something that will help him boss everyone around even more! But there’s a twist in the story, and Mouse, softened by the gift giving gets totally into the Christmas spirit. Before you know it, there’s Christmas fun all round. I did feel that the main character – the Mouse – had a remarkably quick change of heart at the thought of receiving a gift, and in fact turned back as I thought I must have missed a page, because it felt like there was a line or two missing, but the children didn’t notice anything amiss. 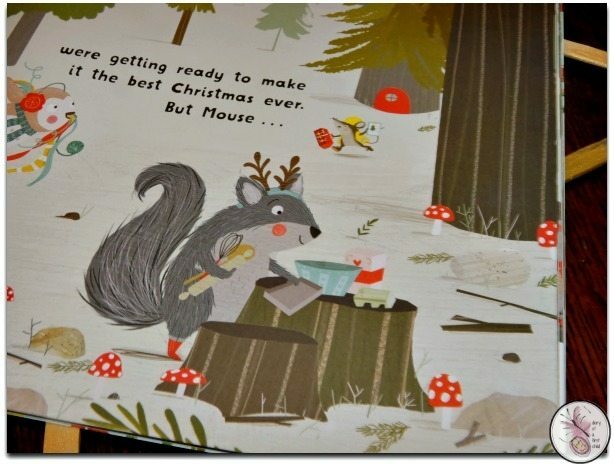 Every page of The Mouse That Cancelled Christmas has a treasure trove of pictures that are fun to explore. For example the Squirrel baking or the Rabbits making snow angles – it’s a lovely book to spend time on. In fact, the illustrations by Samara Hardy are quite beautiful, with everything from toadstools on the forest floor to Mouse’s safety jacket that just lend the book an exquisite charm. The kids love reading this one, and I think it’ll make it’s way into our Bookmas Activity Advent for next year – it’s a good book to read when you’re decorating the tree, doing your Christmas baking or having any other sort of festive fun. It’s also a good one for discussing the dangers of the tree – like not playing with glass ornaments, not trying to climb the tree, and not trying to water the tree over the electrics! 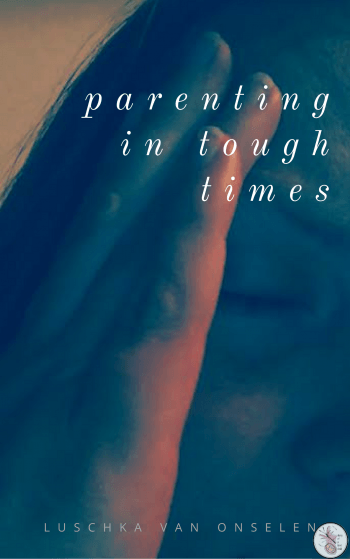 A quick conversation that would hopefully prevent issues over the rest of the festive season. *Get this for the weekend with Amazon Prime – £7.99 gives you a month of unlimited free deliveries!